Part one of a three-part series on perfectionism. When we are at the top of our game, we strive not only to do our best, but to be our best. 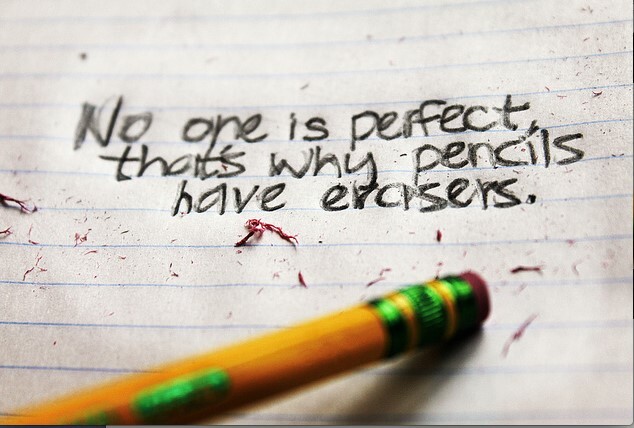 For some of us, however, being our best goes one step further…we believe that we have to be perfect. In striving for perfection, my friend Lynn kept up a punishing pace for many years. She never left the house without make-up and an appropriate outfit, married a wonderful man, worked a full time job, raised three perfect-looking kids, volunteered for every position at her children’s school, and rose to the top of her profession. Her house always looked like a stage set, her yard like a park, and her meals were gourmet. As I returned home after a long day looking like something the cat dragged in, I could not imagine how she did it. One day, she got sick and could not seem to recover. The cold dragged on and on. Only then did all of us realize how much effort it took for her to maintain that veneer of perfection. Suddenly her house looked like ours, her kids clothes weren’t perfectly pressed, and there were weeds in her lawn. When it took her longer and longer to get better, I went to visit and asked if she was OK. She looked at me sadly and said, “ I can’t do it anymore. I just can’t keep burning the candle at both ends, because no matter how hard I work, it’s not perfect anyway!” Her distress and tears were genuine. I realized that while all of us thought she was Superwoman, she was really just a normal woman, bent low under the belief that she had to be perfect, do things perfectly and raise perfect children. Perfectionism is a pattern of setting standards that are too high to be met even with a lot of effort. Sometimes they cannot be met at all. We can apply those standards to ourselves, to our roles as mothers, husbands, wives, or to our careers. Sometimes we even try to apply them to our children and set standards that they cannot meet. I remember my own mother’s reaction, when I would come home from school with my report card. She would say, as she looked over my four A’s and an A-, “what happened that you got an A minus?” And I would be devastated, not only because there was no praise, but because the message I got was, no matter how well I did it would never be good enough. And that is the curse of being a perfectionist, or being married to one, or being raised by one. Eventually you get discouraged because no matter how hard you try, it will never be good enough, perfect enough, or special enough. You also become so vested in being perfect, that you may not take chances, may fear making mistakes or admitting that you don’t understand something. After all, you don’t want anyone to think you are not perfect. And as a result, you miss the wonderful opportunities that come from learning from our mistakes, and making progress even after you have taken a wrong turn. • You always worry about making mistakes. • You assume others are better or more perfect than you are, even though you do not see their effort. • You procrastinate a lot because you fear failure and have trouble getting started with things. • Your partner feels that he/she always falls short and that no matter wat he/she does, it is not good enough. • You know your perfectionistic attitude is harmful, but you see it as the price of keeping up your image. • You need frequent compliments and reassurance about how well you do. • You are critical of others whose “standards” are lower. • You pride yourself on always having something to do, even when others are relaxing or taking a day off. • You cannot tolerate being criticized. • Since perfectionism is an impossible goal you always feel like you are “not quite there.” There must be something else you can improve. • You are very anxious all the time, and fear that someone will find out you are a fraud. • You rely on outward symbols that you have done well – awards, grades, compliments – while on the inside you feel that you can never measure up. • All mistakes, even little ones, are crises and create emotional upheaval. One would think that, if you are a perfectionist, eventually everything would be perfect. But the truth is exactly the opposite. Nothing ever seems good enough and the work is never done. Brene Brown, whose TED talk ( https://www.ted.com/talks/brene_brown_on_vulnerability?language=en) about vulnerability and connection to others is outstanding, refers to perfectionism as a shield that we wear to protect ourselves from getting hurt and that ultimately keeps us from having genuine connections to others. And of course, that is true, because a perfectionist could never admit to another person how stressed or anxious or overwhelmed she was, because then that person would not see her as perfect! Continue on to read How Perfectionism Hurts Our Children and How to Let Go of Perfect – For Good!